Pepsi will install thousands of health-focused vending machines across the country next year. PepsiCo wants consumers to know that it is taking their health seriously, and to demonstrate that, the company says it plans to install vending machines offering only healthy products around the country. 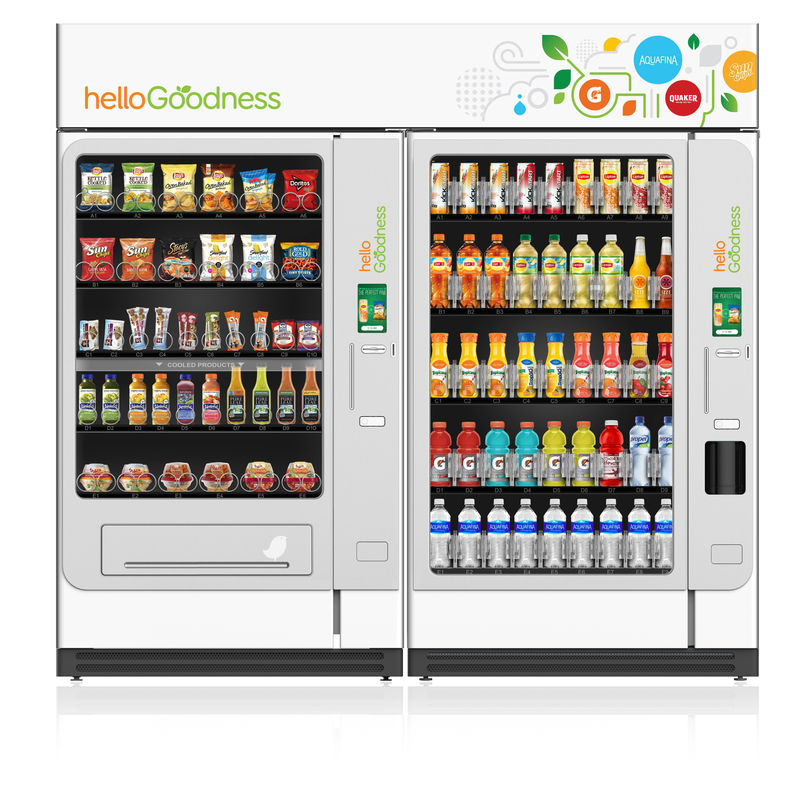 Starting next year, the company will situate several thousand “Hello Goodness” vending machines at select healthcare, recreational, transportation, governmental, workplace and educational facilities. The beverage and snack behemoth unveiled the new vending machines – which are available as beverage-only, snack-only, or a combination of the two – at the Beverage Digest Future Smarts Conference in New York City on Monday. The “Hello Goodness” initiative aims to offer “good- and better-for-you product choices” from PepsiCo’s diverse portfolio, including Naked Juice, Smartfood Delight popcorn, Lay’s Oven Baked potato chips, Quaker Real Medleys bars, Pure Leaf iced tea, Propel Electrolyte Water, Tropicana Pure Premium and Sabra Ready-to-Eat Hummus cups. It should be noted that while the product offerings might be better for customers than a candy bar, they aren’t exactly fruits and vegetables. In addition to providing healthier snack options than one might typically find in a vending machine, the Hello Goodness system will include a rundown of a products nutrition information on a touch screen display. Purchases made at the machines will be recorded and quickly sent to PepsiCo, so the company can tailor the offered products to a certain location.